Published on 25. 06. 2013 in commentary and criticism and pictorial arts. 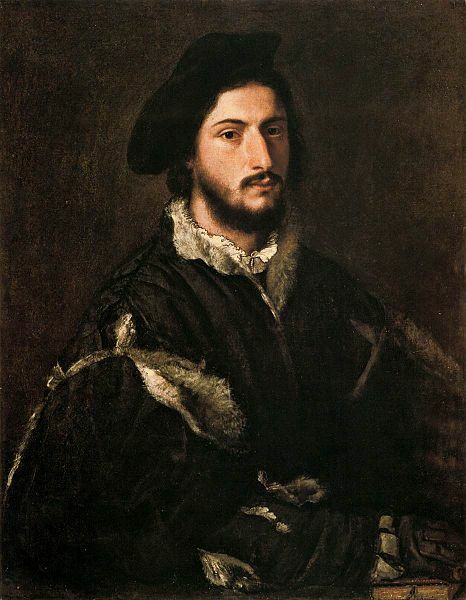 2 Comments Tags: Scuderie del Quirinale, Titian. 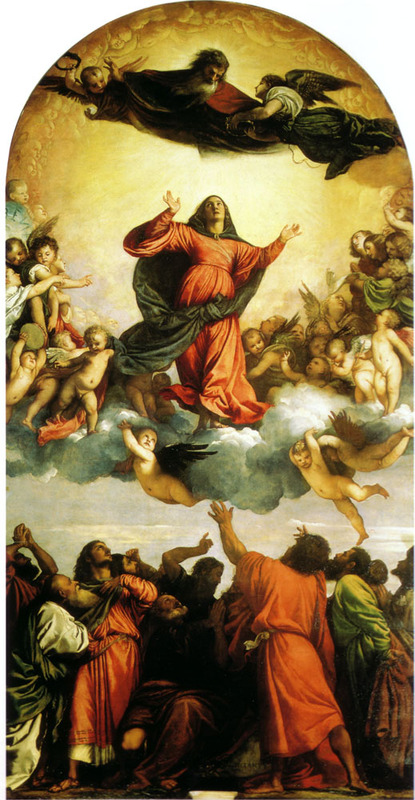 In what is becoming a bit of a trend hereabouts, I’m writing notes on another art show which is no longer available for viewing: this time the Titian exhibition at the Scuderie del Quirinale in Rome, which closed several weeks ago. As an exhibition, it was fairly lacklustre. The kind of blockbuster whose curatorial muscle is all the justification it seeks. Drawing primarily upon Italian collections for a retrospective presentation, the show included a fair number of undisputed masterworks (e.g. the Capodimonte Paul III (1543) and Danaë (1544-1545), the Washington DC Rainuccio Farnese (1542), the Kroměříž Marsyas (1570-1576), but nevertheless managed to underwhelm at least this viewer. Additionally, one may question the wisdom of allowing the former two and the latter of these pictures to travel as much as they have in the last decade or so, where they have all appeared in three to fours exhibitions each. These are some of Titian’s supreme masterpieces and it is vital that they be conserved for posterity and not be put at risk in this way. It is great to see them, of course, but they deserve a good long rest now. If we want to see them, we should be able to travel to the collections that house them. Anyway, the exhibition lacked both the animation of a central idea and the kind of visual-narrative weave that can make monographic presentations so exciting. 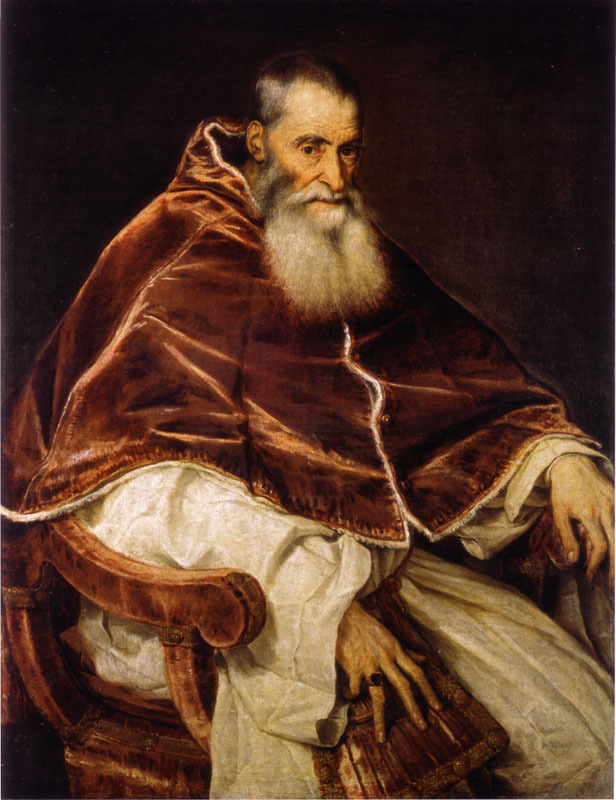 At the end of the day, the selection seemed random and included unnecessary, substandard works (such as the Bargello mosaic Portrait of Pietro Bembo by Valerio Zuccato (1542), and the Budapest Portrait of Doge Marcantonio Trevisan by the studio, (1553-1554) that detracted from the overall effect. The hang, though not without good ideas and thoughtful juxtapositions, similarly ended up confusing matters, mixing as it did chronological, thematic, and typological presentations, scrambling all three. 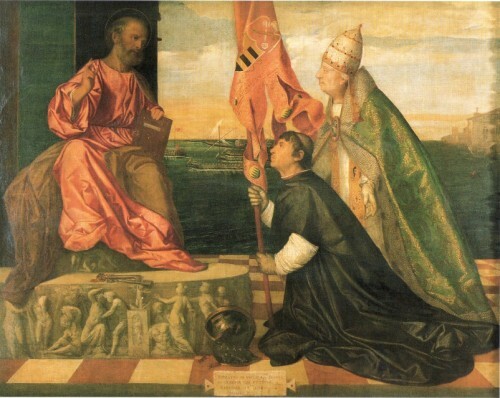 Also, there was a video, sponsored by the Venetian cultural mayoralty and the Scuola Grande di San Rocco, which attempted to provide an overview of Titian’s career uniquely by discussing pictures in Venice and surroundings. Not an easy task, given that so much of his most important work is elsewhere, and certainly an effort unsuited to a show devoted to the entirety of the oeuvre. A symptomatic short cut. The recently cleaned St. Lawrence was a revelation. Previously hidden behind layers of dirt and installed in a dark alcove in the Gesuiti church it was always a somewhat inscrutable work, albeit a very moving one. Cleaned and seen up close in public for the first time at the show, it revealed a tempestuous surface as wild and expressive as the Escorial version of the same composition, painted a decade later. 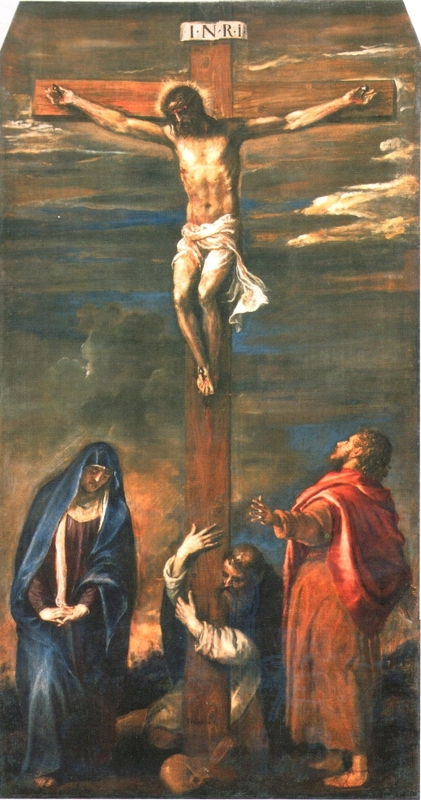 To me, this altarpiece has always been the work that marks the transition into what, for want of a better word, I would call the terribilità of Titian’s late style. When matter becomes meaning, with everything seemingly created from the same luminous substance in an awe-inspiring manifestation of a unique creative temperament. The flames under the grill are rendered in slashing strokes of red hot orange and white, almost abstract in form but terrible in meaning; the faces of the executioners are broad, rough suggestions of their malicious intent — contours drawn up in thick black, eyes glowing in dark sockets — rather than detailed characterisations; and a musky Venetian profile has appeared out of the murk while divine illumination now spills from an azure blue sky above the breach in the dark. The Pala Gozzi. I had never seen this, but knew it was going to be impressive, yet I was still unprepared for just how beautiful it is. 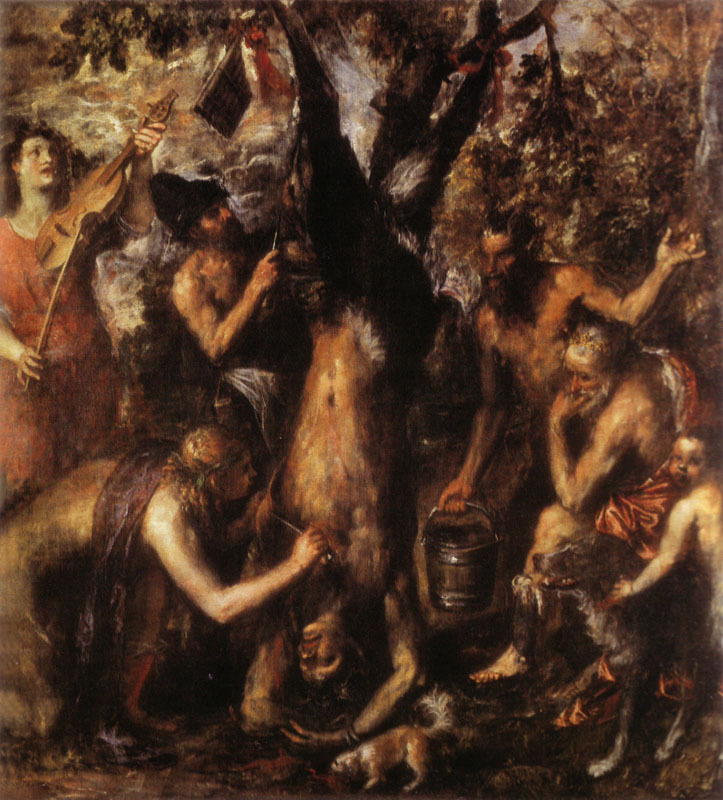 This is Titian working at one of his absolute creative peaks, achieving a luminosity and depth of colour as rich as any in his oeuvre. 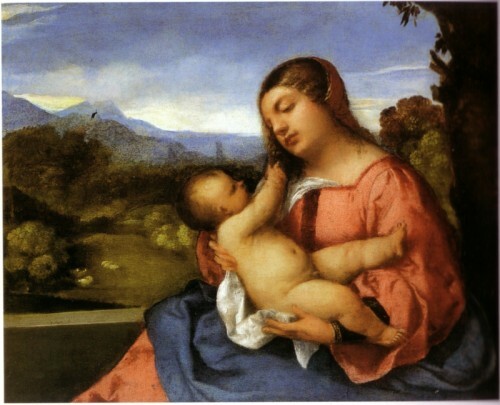 The multispectral glow of the seemingly white/yellow light around the Madonna and Child and the fugacious quality of the gray clouds through which it strikes is a supreme moment of atmospheric painting, echoed below in the symphonic blending of a pink and orange hues into the Venetian sunset. 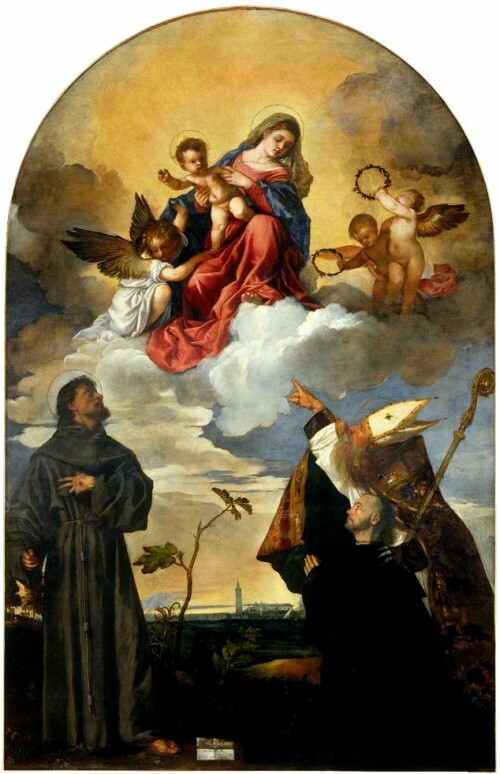 The characterisations are as attentive as his best portraits of the period, yet the distance from which it, as an altarpiece, is meant to be seen empowers supreme moments of open virtuosity such as the soft, warmly toned, curving swathe of strokes that make up Saint Biago’s beard at right. A marvel, which makes one imagine just how glorious the surface of the Frari Assunta (1516-18) must be. (I have yet to enjoy the privilege of seeing it up close). 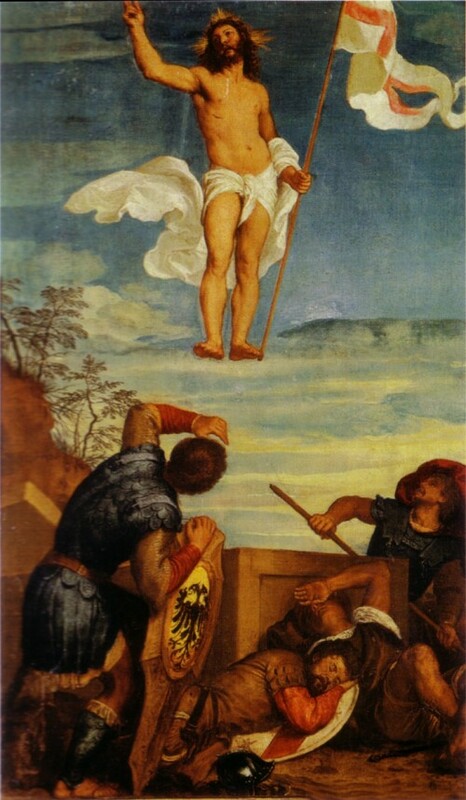 At the other end of the scale in terms of expectation versus experience was the San Rocco Christ Carrying the Cross. 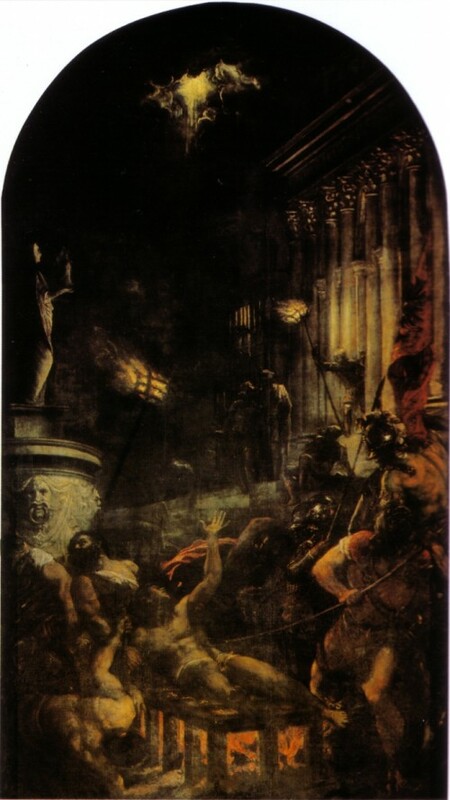 This picture, which is usually fairly hard to see in the Scuola Grande di San Rocco’s dimly lit main hall, was here available for viewing close up. However, it had been brutally restored to such an extent that the formerly abraded yet beautiful surface, worn by the hands of generations of pilgrims seeking out its alleged healing powers, is now of a slickly uniform, somewhat plasticky veneer. In essence, this important picture is now lost to us, replaced through insensitive overpaint and/or varnish (? ), with what looks like an airbrushed simile. Comparing the notoriously hard to date Antwerp Jacopo Pesaro Presented to St. Peter by Alexander VI and the Magnani Rocca Unknown Donor Presented to the Virgin and Child by Saint Dominic with Saint Catherine Attendant, dated 1512-13 and 1513-14 in the exhibition, respectively, I felt uncomfortable placing them so closely together. Although somewhat flat, the latter seems much more accomplished in its rendering of everything from landscape to the heads of the figures; the fabrics, especially as worn by Catherine, are lushly described in a way they simply are not in the Antwerp picture, which although it contains some subtly evocative passages, particularly in the heads of the figures, is not only duller, but seems less confident in execution. 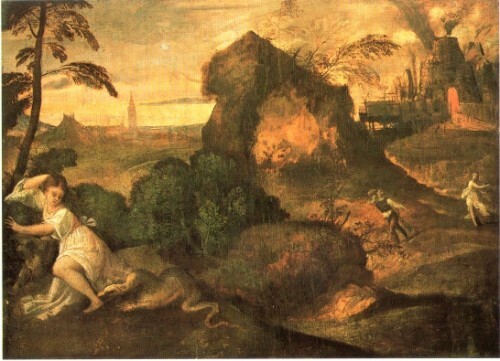 Clearly the pictures cannot be placed much earlier or later than the dates given here, but I would tend to push them as far apart as possible and have the Magnani Rocca picture in 1514, perhaps along with the Vienna Violante, in which the model used for Catherine appears solo, and which is sometimes dated later in the decade. I had similar problems with the two small panels from Bergamo, the so-called Lochis Madonna and the Orpheus and Eurydice, here dated 1507 and 1512, respectively. The early date of the former is clearly wrong; as Paul Joannides has pointed out, it must be of the same rough date as the Glasgow Christ and the Adulteress, which he places around 1510, just before Titian’s work on the frescoes at the Scuola di San Antonio in Padua. I could be persuaded to go a bit earlier, but 1507 seems premature. The Orpheus and Eurydice on the other hand seems to me dated too late. Yes, the tree and landscape at left does recall similar landscapes made toward the middle of the decade, but that is not sufficient evidence that it should be dated to that time. The construction of figures is awkward and the rendering of foliage is dense and self-contained in way seen more easily in early pictures such as the (admittedly uncertain) Padua cassone panels (normally dated before 1510), which it resembles most, and even the (admittedly much, much larger) St. Petersburg Flight into Egypt, which may be as early as 1507, but may have been finished around 1510. 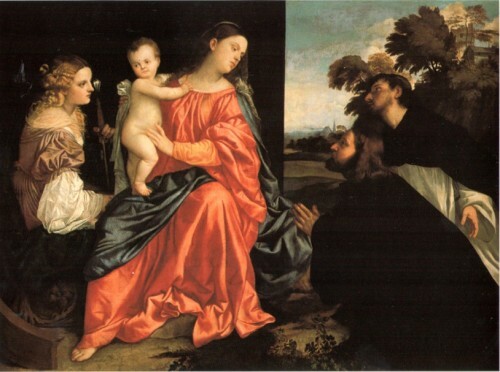 Its sense of atmospherics is also markedly less convincing than that of the Lochis Madonna, the background of which beautifully conveys a misty horizon, and while this does not in itself prove anything – differences in quality do not equate differences in date – my inclination would be to place it some time before 1510. One last dating issue, then I will shut up. 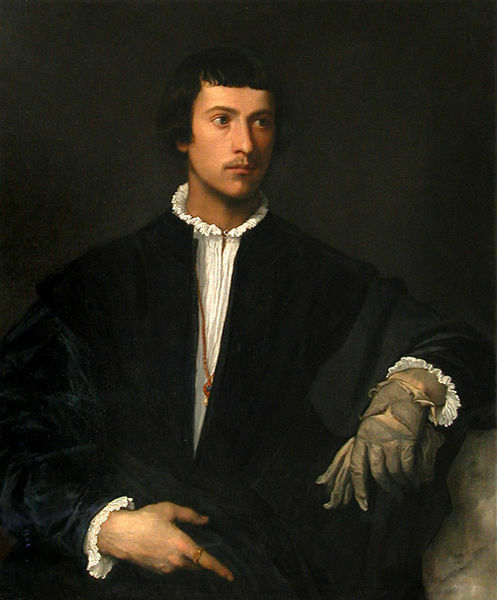 The curators followed consensus in dating the masterful Louvre Man with a Glove later than the similarly wonderful Uffizi Tommaso Mosti, placing them around 1524-25 and 1520, respectively. 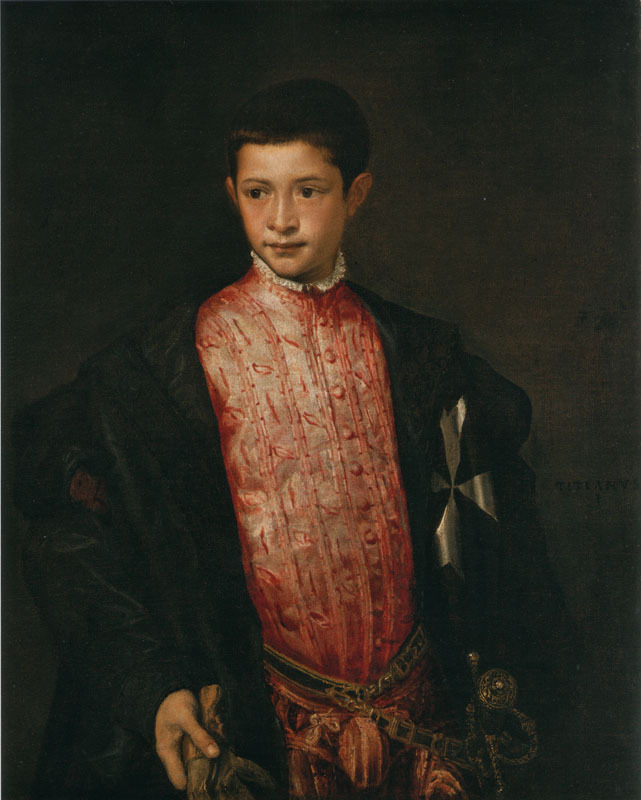 I wonder whether these dates should not be reversed: we have no evidence to fix the Mosti around 1520 and it seems to me possessed of a vibrancy of touch and personal presence that points towards Titian’s great portraits of the 1520s, most notably the Prado Federico Gonzaga (1529), whereas the Louvre picture has more of the controlled surface and poetic projection of the teens. The juxtaposition here with the Pitti Interrupted Recital of around 1512 was instructive. I might even be convinced that it was a little earlier than 1520. 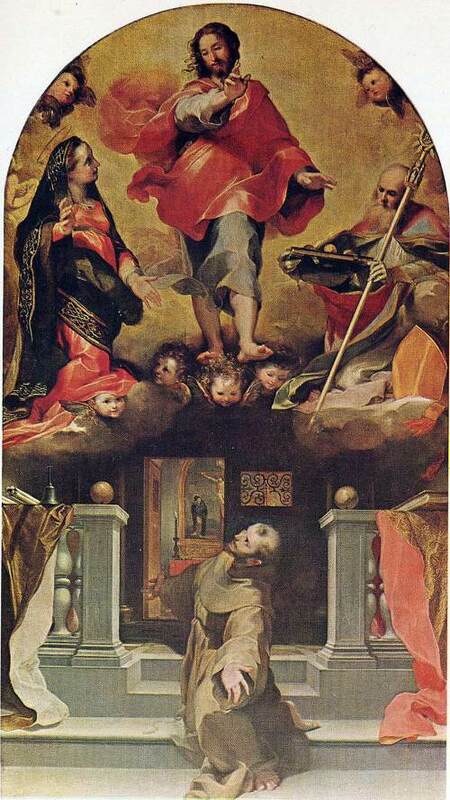 The downstairs room devoted to the thirties and forties was marred by a number of unattractive pictures, such as the San Rocco Annunciation (late 1530s) and the Urbino Resurrection (1542-44), following on from the innovative but similarly unapealing San Niccolò altarpiece (which in the labelling was described, inexplicably, as some kind of apex for Titian; doubly bizarre in this context where it was displayed right after the Pala Gozzi). 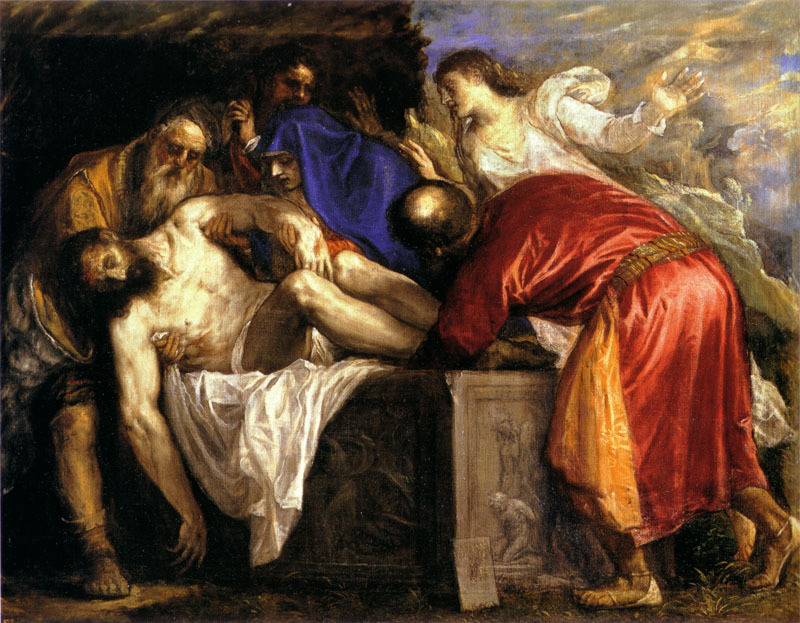 Anyway, it struck me that the Resurrection’s claim to fame should perhaps be sought primarily in its Nachleben, its Christ surely having served as the model of his counterpart in Barocci’s inspired Perdono, painted in Urbino between 1571-76. It was fantastic to see the Ancona Crucifixion (1557-58) in the same room as its smaller counterpart from the Escorial (late 1550s). The former is truly monumental in concept and mood, its externalisation of emotion palpable in the dissolved, almost miasmic background and the heavily weighed-down figures. The Madonna in particular is almost naively rough in conception, canonical decorum stripped away in a portrait of unfiltered grief. The Escorial picture, for its part, reaches for a more transcendent register with its bright, almost electric luminescent surface. 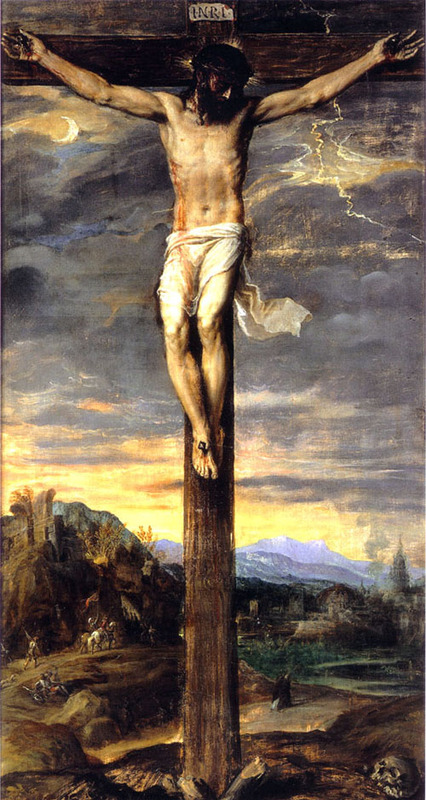 I have written more about it here, so I will refrain from repeating myself, except to say that it is an extraordinary picture, even in Titian’s own oeuvre. 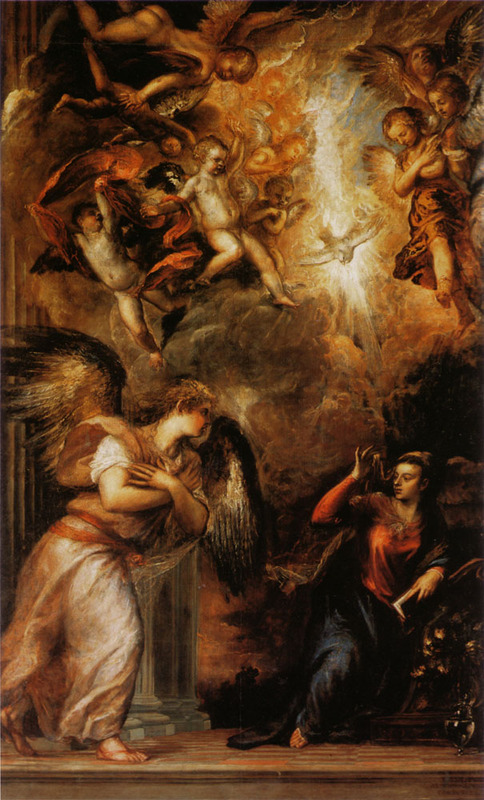 Lastly, the exhibition included another couple of Titian’s highest achievements in terms of synthesising spirituality and materiality, the Prado Entombment (1559) and the San Salvador Annunciation (1563-65). It is difficult to be angry for long at a show, however pedestrian in conception and execution, which includes these singular works. Again, I won’t go into detail here, for I have written a good deal more about them here, here and here. Magna Exhibition at Scuderia del Quirinale and again repeating an exhibition, held outside Italy a few years earlier. The main attraction, large altarpieces that should never have been moved from their homes. Especially Venice, which desperately needs a place to perform these exhibitions and not have to move fragile works, which by their size they should not move hundreds of miles. Hi Roberto, thanks for your comment. I entirely agree: while I naturally found it amazing to see these altarpieces brought together under the same roof, it is of course highly problematic from a conservation POV.